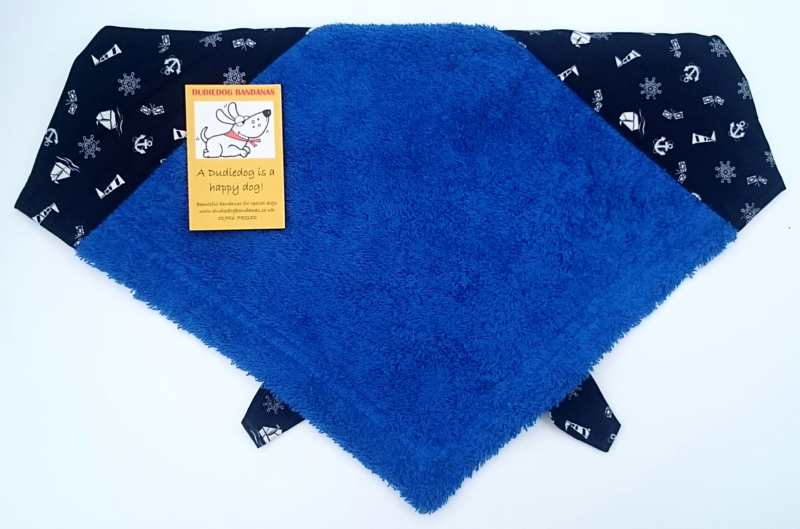 A cute and summery navy blue Droolbuster dog bib. The background is a lovely dark navy blue with a white nautical print. The absorbent terry towelling panel can be any of our 8 lovely shades...we think this Droolbuster looks particularly fabulous when teamed up with Royal blue or purple. Droolbusters are a perfect and practical accessory for any dog that drools. They are available in 6 sizes.